The Super 8 Motel Dixon, Illinois is conveniently located off I-88, Exit 54. 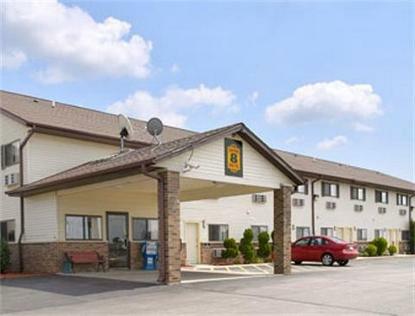 The motel is located between the Quad Cities (Bettendorf, Davenport, Rock Island and Moline) and Chicago, Illinois. The Super 8 Motel Dixon, Illinois is just minutes away from Ronald Reagan's Boyhood Home. The Super 8 Motel Dixon, Illinois is located near Dixon Memorial Arch. Other attractions in the area include Emerald Hill Golf Course, Lincoln Statue, Old Settlers Memorial Log Cabin, John Deere Historic Site, White Pines Forest State Park and Sauk Valley Community College.The Super 8 Motel Dixon, Illinois features Free High Speed Wireless, Large RV/Truck/Bus Parking and Superstart Breakfast.